Rosary Hall is as resilient as the Sisters. It has weathered many storms, including fire, hurricanes and water damage. With architecture based on the Holy Cross Convent in Regensberg, Germany, the Motherhouse and Novitiate were completed in 1876. In 1920 it grew to include a farm, outbuildings, orchards, a cemetery and a grotto. Named a New York State historic landmark, the site was added to the National Register of Historic Places in 2007 which protects and preserves the future of the properties. All renovations accommodating the needs of the retired Sisters, referenced descriptions of the original exterior and interiors. 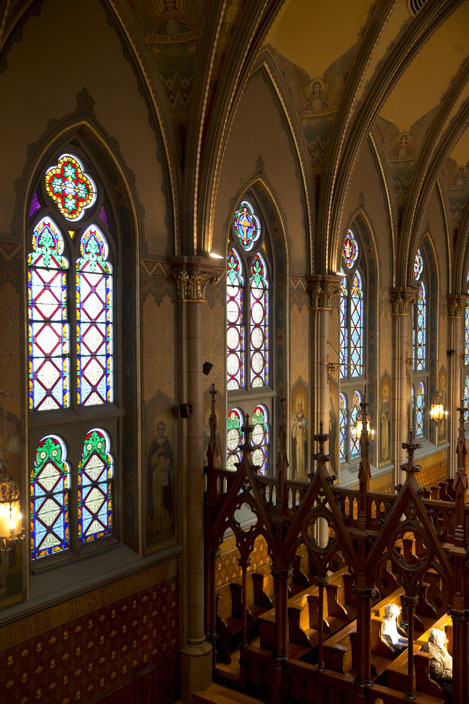 Experts attended every detail with reverence and dedication to the spirit of this great building—not only as a historic site, but as the Sisters’ home. 1876: Mr. Schlegel’s small house (now Seraphina Cottage) is used as the first Novitiate. On April 20th, construction begins on the new Novitiate, Rosary Hall. 1879: Dedication of the Chapel. Expanded facilities include classrooms for neighborhood children and the 120-boy and 60-girl orphans who live on the grounds. 1888: Tiny St. Dominic’s Chapel is built in the woods, on the west side of Albany Avenue. It is later moved to its current site, by the Sisters’ cemetery, in 1905. 1913: Fire escapes are added to the Novitiate. 1934: Autumn: End of farming. 1953: In preparation for the Congregation’s centenary, murals and paintings are cleaned, and the sanctuary is carpeted. 1965: Rosary Hall is renovated, modernized and made fire-resistant. 1970: Fire in the electrical wiring of the bell tower. Chapel is closed until the following Spring. 2007: Rosary Hall is granted “New York State Historic Site” and “National Register of Historic Places” status. 2010: Completion of thorough two-year restoration project. 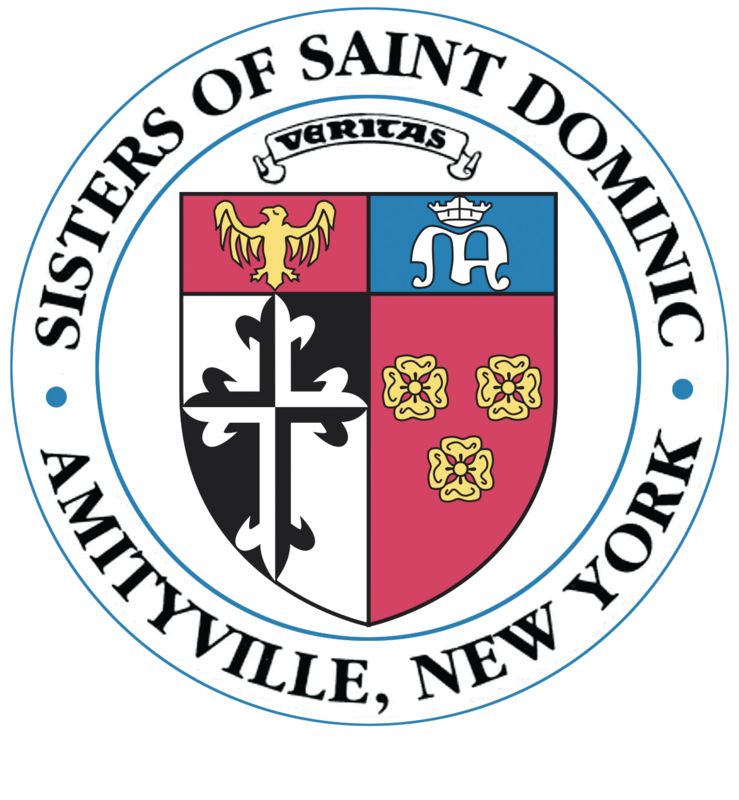 2016: One hundred and twenty seven retired Sisters live in the Motherhouse in Amityville. The four pillars of Dominican life are a daily witness to the Gospel of Jesus Christ. The Sisters live among God’s people sharing hope and joy, striving to live in a way that calls others to know, love and follow our brother Jesus.